Millions of visitors to Chatham have already discovered that exploring the area by bike can be both relaxing and exciting.Whether you're a professional cyclist, hobbyist or just looking to roll around town, you'll find pletny of opportunities in Chatham. Cape Cod has hundreds of miles of hiking and biking trails, including a paved, regularly maintained and clearly marked bike path. 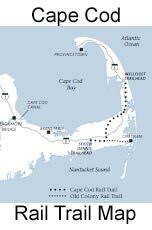 The Cape Cod Bike Trail starts in the neighboring village of Dennis and wanders 20 miles through charming towns and knotted pines before reaching Chatham. Whichever course you choose, a Cape Cod cycle tour is full of variety: Your surroundings change as you roll along, and often the scenery at the end of your tour looks quite different. Didn't bring your bike with you? No problem. Two bicycle rental shops welcome you just steps from downtown Chatham as well as one just over the line on Queen Anne Road, East Harwich . Once you've cycled through town, visit Monomoy Island in Chatham's southern end. The long stretch of sand that unites Chatham and Monomoy ("The Causeway" as locals call it) offers beautiful views of the Atlantic on one side and the Ryder's Cove marina on the other. The Chatham Bikeways Committee welcomes bicyclists to Chatham. Biking in Chatham, Cape Cod is a great way to explore the town and visit the many beaches and shops while avoiding the traffic congestion during the summer months. And you’re always guaranteed a parking space downtown at one of the many bicycle racks located on Main Street! To ensure your safety and enjoyment while bicycling, the Committee provides the following reminders of the rules of the road. • Wear a helmet (required by Massachusetts law for children 12 years of age or younger). • Ride on the right with traffic. • If riding on the sidewalk, yield to pedestrians. 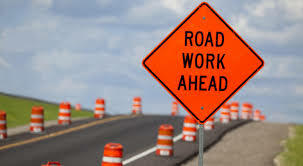 • Stay alert; be aware of obstacles and traffic around you.